1. Fateful Lightning: A New History of the Civil War and Reconstruction by Allen C. Guelzo (Oxford Univ Pr, 2012). 2. Ruin Nation: Destruction and the American Civil War by Megan Kate Nelson (Univ of Georgia Pr, 2012). Georgia has recently published two similarly themed books, this one and Lisa Brady's War Upon the Land. Brady's work touts itself as the first environmental history of the war, but I was unimpressed with its claims, feeling that she was simply replacing established nomenclature with that of the environmental studies academic discipline, and in the process not materially enhancing our understanding of the war's physical and cultural transformation of the southern landscape. Others disagree, obviously. Every once in a while, an online listing tempts me yet again into the madness of book buying that is the eBay experience. I ended up paying a little bit more than I intended for an auction win of John D. Perkins' Daniel's Battery: The 9th Texas Field Battery (Hill College Press, 1998), so hopefully it will be worth it. * Cannon Smoke: The Letters of Captain John J. Good, Good-Douglas Texas Battery, CSA ed. by Lester Newton Fitzhugh (Hill Junior College Press, 1971). "This well edited volume reproduces the correspondence of Captain Good and his wife, Susan, from April 1861 to May 1862 when Captain Good resigned his commission. Appendices include several rosters of the battery." * Douglas's Texas Battery, CSA comp. and ed. by Lucia Rutherford Douglas (Smith County Historical Society, 1966). "The correspondence of Captain James P. Douglas, the second (and last) commander of the battery, and his wife, Sallie, are contained in this book. Additionally the book contains the diary of Private Sam Thompson, the 1864 diary of Captain Douglas, a short sketch of the battery by Private James Lunsford, and two rosters." * Another short study of a Texas battery that fought primarily in the Trans-Mississippi is Paul C. Boethel's The Big Guns of Fayette (Von Boeckmann-Jones, 1965), a history of Creuzbaur's Battery. Unless you are prepared to pay a premium, interlibrary loan is your best bet for viewing copies of these books. It's too bad reprints (or even digital scans) are not in the cards for so many scarce titles published in the 60s and 70s by small presses dealing with subjects and topics not substantively revisited since. Along these lines for Texas, it might be short monographs from publishers like Hill College Press and Texas Western Press. 1. George Henry Thomas: As True As Steel by Brian Steel Wills (Univ Pr of Kansas, 2012). As happens so often in Civil War publishing, coverage of some areas is feast or famine with several new works appearing over a short period of time after an extended empty stretch. This has certainly been the case with Thomas bios. My first impression is that this one will stand head and shoulders above the others. We shall see. 2. From Western Deserts to Carolina Swamps: A Civil War Soldier's Journals and Letters Home edited by John P. Wilson (Univ of New Mexico Pr, 2012). Published ten years ago, Wilson's When the Texans Came: Missing Records from the Civil War in the Southwest, 1861-1862 is a particular favorite of mine, a treasure trove of source material appearing in print for the first time. His new book From Western Deserts to Carolina Swamps is an edited collection of the writings of 7th US and later 50th Illinois soldier Lewis Roe. As the title suggests, the infantryman's journals cover both his time with the Regulars in the Southwest and with the volunteers of Sherman's army on their March to the Sea and beyond. Auten: "THE BATTLE OF WYSE FORK: North Carolina's Neglected Civil War Engagement"
Followed closely by the much larger Battle of Bentonville, the March 7-10, 1865 Battle of Wyse Fork has been unjustly overshadowed. With around 13,000 Union soldiers facing approximately 9,000 Confederates and combined losses well over 2,500, the fighting was intense in places. Deployed as a blocking force southwest of Kinston, North Carolina and occupying earthwork defenses situated along the west bank of Southwest River, the Confederate force was a hastily organized affair commanded by the much maligned Braxton Bragg. His principle subordinates were D.H. Hill and Robert Hoke, the latter's intact division comprising the army's primary maneuver element. Opposing Bragg's command was the Provisional Corps of Jacob Cox, comprised of three infantry divisions led by Innis Palmer, Samuel Carter, and Thomas Ruger. As far as I know, Timothy Auten's The Battle of Wyse Fork is the first book length treatment of this fight. Using primarily the O.R. and a handful of unit histories written by participants as source material, the author constructs a mostly smooth and comprehensible account of the battle, at a moderate (brigade and regiment) scale of complexity. Bragg handled his army well and Hoke's division actually performed a fairly remarkable feat, directing three flank attacks (against the Union left, right, and left again) on successive days. Although the first Confederate attack was a surprise leading to the capture of an exposed Union regiment, Cox's divisions were able to ultimately thwart all these moves and continue their advance through Kinston to Goldsboro. Conventionally classified as a Union victory, Auten makes a good case that Bragg's delay of Cox's advance entirely fulfilled Confederate objectives, allowing Joseph E. Johnston the breathing space necessary to organize and launch one last blow against Sherman's advance. The greatest, and most obvious, black mark against the book is the atrocious state of the manuscript. No text should ever go to print with this many instances of misspellings, sentence fragments, incorrect word usage, missing words, errors in military terminology, noun-verb non-agreement, and more. The text is a bit over-annotated, too, with many passages having multiple citations that could easily have been combined into one. The bibliography is also very limited in terms of variety of source types consulted. Admittedly, I have no familiarity with the research materials available for this battle, but I would have expected Auten to turn up at least some unpublished letters, diaries, and memoirs to supplement the official documents, unit histories, and smattering of secondary sources used. The maps are rough, hand-drawn sketches not on par with readers have come to expect from Civil War battle histories, but they do at least offer a fairly good conception of the road network and a general sense of the positions and tactical movements of select regiments, brigades, and divisions. A pair of appendices provide orders of battle, strength estimates, and casualty information. It's too bad The Battle of Wyse Fork exhibits all too many of the content and presentational shortcomings common to self published books. Readers will be entirely justified in skipping this study on those grounds alone, but I do feel that those willing to work harder than they should have to will in the end gain an understanding of the tactical side of the battle at a level of detail currently unavailable elsewhere in book form. "After Gettysburg: Cavalry Operations in the Eastern Theater July 14 1863 to Dec 31 1863"
The Civil War historiography spanning the end of the Gettysburg Campaign and the beginning of the Overland Campaign remains a persistent gap in our knowledge. Some books and articles exist, but nothing like the volume of output covering similarly long stretches of eastern theater military operations. This is starting to change. Last year, a fine (albeit self published, with many of the usual flaws associated with such works) book length history of the October 1863 Bristoe Campaign emerged. This positive trend continues with Robert J. Trout's After Gettysburg: Cavalry Operations in the Eastern Theater July 14 1863 to Dec 31 1863 (Eagle Editions, Ltd., 2012) [ Hardcover, 25 maps, notes, bibliography, index. 376 pp. ISBN:978-0-9794035-7-6 $26.00]. Although massive infantry casualties on the scale of Gettysburg or Chancellorsville were absent that year from the later Bristoe and Mine Run Campaigns, the opposing cavalry forces were highly active, clashing repeatedly in a series of skirmishes and small battles. Trout provides readers with useful summaries of these events, from the July and August fighting at Shepherdstown and Brandy Station to the mounted arm's participation in the Bristoe Station and Mine Run face offs between the armies of Meade and Lee. In terms of cavalry vs. cavalry maneuver, the operations associated with the Bristoe Campaign (e.g. Auburn, Jack's Shop, Buckland Mills, and others) make for particularly fascinating study. In Trout's book, maps are plentiful, but are primarily helpful in pointing out the region's road network and prominent natural features of its landscape. A series of tactical maps are provided for Shepherdstown and Brandy Station, but, unfortunately, that is basically it for tracing small scale unit movements. Order of battle tables would have been helpful, too. Conversely, the bibliography impresses, and the notes, located at the end of each chapter, go far beyond mere source citation. After Gettysburg really does a noteworthy job of beginning to fill in some of the remaining blank spots in our understanding of military operations conducted over the latter half of 1863. This is a highly original work that will substantially enhance the knowledge base of students of the Civil War in the East. In their foreword, eastern theater (especially Gettysburg Campaign) cavalry experts Eric Wittenberg and J.D. Petruzzi award Trout's study their highest recommendation. Endorsements by those best qualified to offer it are of the most value and that is certainly the case with this pair. "Tennessee in the Civil War"
It looks like more than one state historical society journal is taking advantage of the Sesquicentennial to offer compilations of previously published articles. 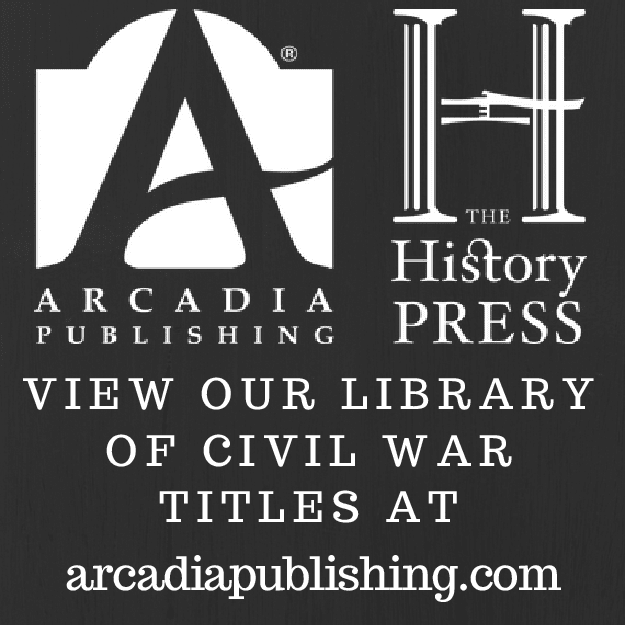 A couple of weeks ago, I mentioned the latest from the Missouri HS, and I've just now learned a selection of Civil War articles from Tennessee Historical Quarterly are being republished in twelve Tennessee in the Civil War series volumes. Of course, one can obtain photocopies of all these articles through interlibrary loan, but I think having them in bound volumes organized by theme has value, even if its unclear if any new material is added. So far, two have been made available: the introductory Tennessee in the Civil War and The Civil War in Appalachia. The ability to order Volumes 3 and 4, The Battle of Shiloh and Forrest and the West Tennessee Cavalry Campaigns, from the above linked page will apparently be available soon. So far, each book has a different editor. I do wish the THS site would include table of contents information for each book.See note I witnessed series editor Carroll Van West wave a copy of the Shiloh volume on CSPAN3 last weekend, and it was a paperback so presumably the rest are the same. J. Mills Thornton, "The Ethic of Subsistence and the Origins of Southern Secession"
Stanley Horn, "Isham G. Harris and the Pre-War Years"
Grady McWhiney, "Braxton Bragg at Shiloh"
Campbell Brown, "Carter's East Tennessee Raid"
Noel C. Fisher, "Prepare Them for My Coming: Gen. William T. Sherman, Total War, and Pacification in West Tennessee"
Bobby Lovett, "Nashville's Fort Negley"
Walter Durham, "Civil War Letters to Wynnewood"
Steve Ash, "Sharks in an Angry Sea: Civilian Resistance and Guerilla Warfare in Occupied Middle Tennessee, 1862-1865"
Mark Dunkelman, "Blood Marks their Tracks: A Union Regiment's hard March to Knoxville, 1863"
Robert Glaze, "Saint and Sinner: Lee, Forrest and the Ambiguity of Southern Identity"
Jordan: "UNHOLY SABBATH: The Battle of South Mountain in History and Memory, September 14, 1862"
Beyond a few introductory works (most recently John Hoptak's The Battle of South Mountain) and John Michael Priest's detailed ground level study, the South Mountain story and its three clashes at Fox's Gap, Turner's Gap, and Crampton's Gap have typically been relegated to short pieces inside larger works. 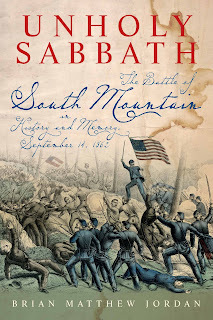 Brian M. Jordan's Unholy Sabbath represents the first attempt at incorporating into a full length South Mountain study all the different facets of modern military history scholarship. In doing so, it succeeds admirably. One can presumably write an exhaustive book covering the fighting at each gap alone [and indeed this has already been done for Crampton's Gap with Timothy Reese's Sealed with Their Lives], but the moderate level of complexity of Jordan's narrative is entirely appropriate to a campaign or battle study of the standard 300-400 page length. The action unfolds at brigade and regimental scales, and a full picture of the rugged topography and how it helped and hindered both sides is conveyed. Supporting the text is a good set of maps exhibiting the the amount of detail in unit placement and terrain features one comes to expect from books of this type and especially from this publisher. Jordan's perspectives on writing history are refreshing. It is arguable whether the Special Order 191 controversy should be considered beyond the scope of a South Mountain study, but is pleases me when authors (like Jordan does here) recognize they have little to add to an already exhaustively documented subject and elect instead to use the footnotes to refer readers elsewhere. 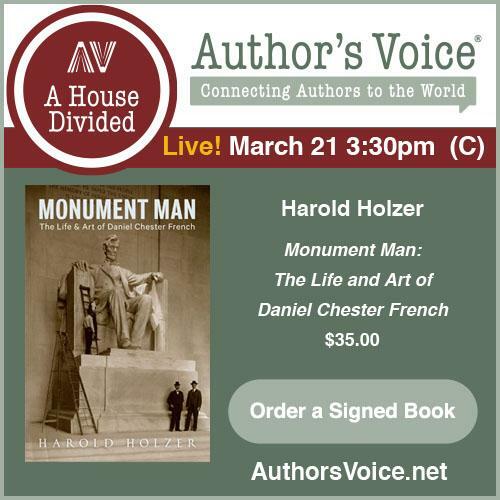 Many readers also prefer authors to take definite stands on controversial issues. Jordan is judicious is this regard. Some established views are confirmed. For instance, he is deeply critical of JEB Stuart's failure to properly screen all likely approaches to the South Mountain passes (a view that is supported by the evidence regardless of how moderated the opinions of contemporaries became over time), and it would be perverse not to be impressed by the stand of Rodes's brigade at Turner's Gap. On the other hand, the author demonstrates no interest in perpetuating either the simplistic standard view of McClellan's generalship or the psychological issues so many writers pin on Little Mac. The question of whether federal corps commander Jesse Reno was killed by friendly or hostile fire is handled by the presentation of both cases, leaving the reader to decide. What is rejected is any evidence that Reno was a "fragging" victim. In a later chapter relating the thoughts of soldiers and civilians on the meaning of the battle, the author makes the trenchant point that the South Mountain battle represented McClellan's clearest offensive victory to date, offensive being the key word in the sense that driving Confederates from strong positions (regardless of local numerical superiority) meant far more to the men than simply successfully holding ground against attack. Giving South Mountain a status rarely approached by later writers and historians, many veterans indicated in their own writings a symbolic renewal of martial confidence after South Mountain, a tonic to the demoralization of the Seven Days and 2nd Bull Run. On the other side, as one might expect after defeat, Confederate military and civilian observers tended to underplay the significance (and certainly any symbolic meaning) of the fights at the gaps, naturally stressing the successes of individual stands and the overwhelming numbers of the enemy. 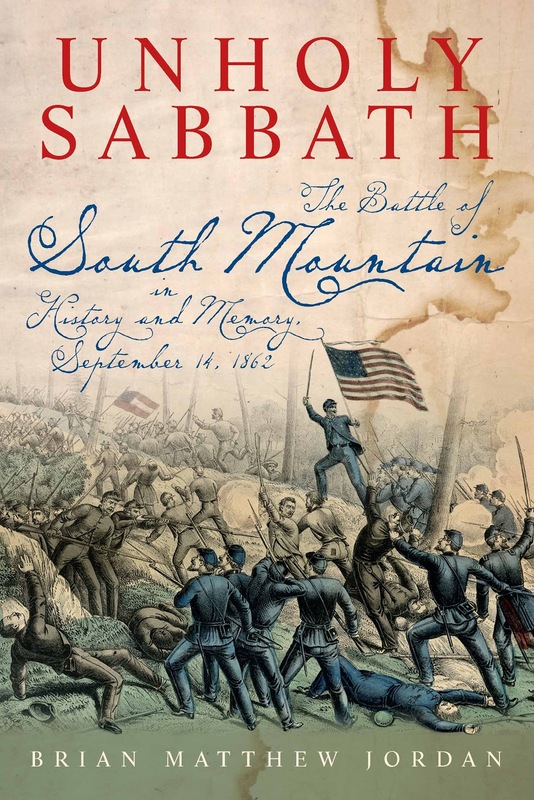 Unholy Sabbath is clearly the cream of the crop when it comes to South Mountain studies. With its all around appealing presentation, even Civil War readers not typically interested in campaign or battle studies will likely find themselves drawn in by the writing. If bookshelf space exists for only one South Mountain book, the choice should be Brian Jordan's Unholy Sabbath. A reader recently sent me this link, which mentions that prolific Shiloh scholar Timothy Smith has entered into a contract with University Press of Kansas for another Shiloh volume. Hopefully, now that Peter Cozzens has abandoned his own effort, this will be a new exhaustive treatment that addresses the deficiencies of prior efforts. With his scale of output (seems like a book a year or more), Smith must be the most efficient Civil War researcher and writer working today. CSPAN recently aired a U.S. Naval Academy class lecture by historian Wayne Hsieh on the generalship of U.S. Grant, much of the discussion in the context of Russell Weigley's "The American Way of War". Beyond the lecture itself, it is interesting to see and hear Hsieh's interaction with the students. Check the video out yourself using this link (ignore the bold title, it is Grant not Lee being discussed). There are many subsidy/POD publishers out there, and I've never been one to dismiss as a group their prodigious output of Civil War related materials of all types. I have purchased more than my share of dreck, but I've also been able to add to my library many fine original works. That said, even with otherwise good books, I repeatedly encounter a number of poor decisions on the part of the author that I'd like to share here. I could come up with many more, but this is just basic stuff that gets constantly overlooked. 1. Don't ever send your manuscript to the printer without first having at least one third-party with competent editing skills mark it up. This should go without saying. Most self published Civil War authors seem to have little notion of their own limitations as writers. 2. It seems that POD services allow authors to alter their manuscripts at will without disclosure to the buyer as to what version they are getting. Taken to an absurd level, each book printed can have the same ISBN but different text. I know a guy that submitted several different versions of his manuscript within a single month, many of the changes suggested by customers that bought the first version. I could detect nothing that would indicate that the guy recognized how much of a disservice he was doing to the customers that purchased the book soon after release. Don't drag your book down to the level of buggy computer software requiring the release of a series of patches merely to make it respectable. It's even worse than that. Software patches are free but manuscript fixes require full price repurchase. 3. Don't offer pre-orders unless you first understand what the concept means. A friend and I recently pre-ordered a book (full price plus shipping) from an author with the understanding that the print run would be limited. Soon after, we discovered that it was in fact a POD book and an online retailer had it in stock and was selling it for almost 40% less with free shipping. Several weeks later, neither of us have our copies in hand. 4. Do use blogs, Facebook, Twitter, etc. to promote your book (if you don't, who will?) but don't ignore questions from potential customers. In countless instances, I've solicited information from authors only to receive no reply. 5. Along similar lines, unless you want potential customers to consider your book vaporware, don't fail to regularly update your social media site. A simple progress report takes only seconds to write but it can keep web surfers from deleting your 'dead' site from their bookmarks folder and forgetting about you. Michno: "THE SETTLERS' WAR: The Struggle for the Texas Frontier in the 1860s"
During the nineteenth century, the borderlands of Texas witnessed some of the bloodiest violence on the continent, with the region's Indian tribes among the most successful in North America in curtailing the progress of white settlement. 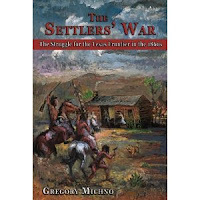 As author Gregory Michno interestingly notes in his new book The Settlers' War: The Struggle for the Texas Frontier in the 1860s, in the 50 years prior to 1870, the Texas frontier advanced only a tenth of the distance realized by the rest of the continent. The nature of the land and the sparseness of settlement placed less pressure on the native populations surrounding Texas, but Indian resistance by the Apache, Kiowas, and brutally expansionist Comanche was also unusually effective. During the decade covered in the book, violence between whites and Indians in Texas took the form of isolated raids on frontier homesteads. U.S., Texas state, and later Confederate military (and paramilitary) forces never figured out a way to stop these encroachments and settlers steadily died no matter what strategies were employed. The tactic most commonly used, one involving the establishment of fixed defensive points with patrols scouring the areas between them, never worked [the Civil War employment of this system is analyzed and explained best in David Paul Smith's Frontier Defense in the Civil War (TAMU Press, 1992)]. As with his 2011 study chronicling in minute detail the early weeks of the 1862 Sioux uprising in Minnesota, Michno utilizes Indian Depredation Claims data for descriptive purposes and also to provide readers with a proper sense of the frequency and scale of these attacks. He randomly selected one out of five claims for inclusion in the book. More infamous events, like the 1864 Elm Creek Raid, are accorded somewhat more attention. It is Michno's contention, supported by the evidence, that the Elm Creek Raid's significance, in terms of exceptionality in loss of life and property destruction, has been exaggerated in the popular literature. Texas state forces could be brutal, too, and indiscriminate in their application of violence. The most blatant example of this was their January 1865 assault on a camp of friendly Kickapoos at Dove Creek. The Texas frontier also witnessed an event that, according to Michno, likely resulted in the deaths of more Indians than any of the more famous Plains massacres. In October 1862, the Tonkawa, a tribe that often provided scouts for Texans fighting other Indians, were attacked by Comanches and Kiowas (and perhaps others) and massacred in flight from the Wichita Agency. The Settlers' War is mostly descriptive in nature, primarily documenting a decade of bloody raids on white homesteads along the Texas frontier, as well as failed attempts on the part of state, Confederate, and U.S. military authorities to stop them. Broader cultural and political issues are left to other works. However, several notable observations are drawn from the evidence. Michno finds that, contrary to legend, Texas "Rangers" were generally no more adept at Indian fighting than other military and paramilitary organizations. No matter who was in charge, increases in troop strength not only did not protect settlers, it often resulted in more frequent raids on their homes and ranches. The common refrain that the withdrawal of U.S. troops from the frontier when Texas seceded led to a bloodbath of sorts appears to be entirely untrue. Even with few troops available, 1862 was the decade's least bloody year. Instead of troop levels, Michno instead notes another, less appreciated, factor dictating the frequency of raids -- drought cycles and rainfall levels. After the Civil War, another gap in the frontier defense emerged with the transition from Texas and Confederate authority back to that of the U.S. In the latter half of the decade, the U.S. army was no more successful in halting raids than the Texans. A series of military commanders, most notably Philip Sheridan, dismissed reports of frontier violence, concerning themselves instead with Reconstruction and U.S.-Mexico border issues. According to Michno, even when mounted troop levels in the state peaked, the raids continued apace with no new tactical innovations. As before, the raiders followed the rainy climate patterns. Tens of thousands of head of cattle were stolen, as much a result of ease and profitability than pressure on bison herds. The Settlers' War presents a detailed picture of perhaps the bloodiest decade of sustained homestead violence in the history of the West. Coverage of obscure events is extensive and welcome given the dearth of literature devoted to the region's conflict in comparison to the Plains Indian Wars. Both Civil War and Indians Wars students will benefit from reading this study and keeping a copy on the bookshelf for future reference. 1. The Battle of Wyse Fork: North Carolina's Neglected Civil War Engagement by Timothy W. Auten (Author, 2008). Although Wade Sokolosky is apparently still at work on one, I am not aware of any other modern Wyse Fork (March 1865) battle histories. From a glance through the footnotes and bibliography, the source material associated with this self published study is predominately O.R., supported by a sprinkling of other sources. The battle narrative itself is quite detailed. 2. Rebels on the Border: Civil War, Emancipation, and the Reconstruction of Kentucky and Missouri by Aaron Astor (LSU Pr, 2012). Recently, more than a few books have taken detailed looks at unionism and civil rights in Missouri and Kentucky. Astor's book again examines what unionism meant in these states, but he also delves into the recruitment of black soldiers and racial violence during wartime and Reconstruction. Citizenship struggles (for political power, opportunity, education, etc.) comprise additional themes. 1861-65 military conflicts between whites and Indians residing in today's Washington, Idaho, and Oregon are occasionally the subject of book length treatments, but no one has attempted a comprehensive Civil War history of the region. From the publisher's description* of his work, it looks like Scott McArthur's The Enemy Never Came: The Civil War in the Pacific Northwest (Caxton Press, Oct 2012) is on the right track. * - "Although the Pacific Northwest was the area furthest removed from the actual battles of the Civil War, it was nonetheless profoundly affected by the war. The Enemy Never Came examines the everyday lives of the volunteer soldiers who battled Native American renegades of the region and of the settlers who were deeply affected by the war yet unable to do much about it. Pacific Northwest pioneers soon chose sides, most allying with the North, others supporting the southern states’ right to withdraw from the union. Still others attempted to ignore the entire issue of the War between the States, leaving “that problem” to the folks back East. Because communication with the rest of the nation was slow and tenuous during the early years of the war, the early settlers of what is now Oregon, Washington, and Idaho concentrated on controlling the restive Native Americans whose land and society had been overwhelmed by white settlers. These same settlers, however, nonetheless vigorously argued politics and worried about invaders from the South, from the British colonies to the North, and from the sea, none of whom ever materialized." 1. Hope for a regimental history of the 1st Nebraska VI remains unfulfilled, but, in early 2013, Bison Books will publish perhaps the next best thing, a comprehensive territorial history titled Standing Firmly by the Flag: Nebraska Territory and the Civil War, 1861-1867 . Author James E. Potter has also co-edited the diary of 1st Nebraska soldier August Scherneckau for University of Oklahoma Press. 2. I strive to mention when I can new book releases by historical societies that sound interesting. A Rough Business: Fighting the Civil War in Missouri (State Hist Society of Missouri, 2012) is a compilation of 14 previously published articles from their journal Missouri Historical Review. 3. Did any fellow Mystery Science Theater 3000 fan of the classic "Time Chasers" episode notice that a recent (3/23/12) Civil War Talk Radio guest teaches at Castleton State College of Vermont? It wasn't until long after my viewing of the movie that I learned that the chinny, Castleton t-shirt wearing protagonist was a walking (negative?) advertisement for a real college. A "Castleton snob" Andre Fleche wasn't, but I had a little laugh to myself anyway. I guess I should mention his book The Revolution of 1861: The American Civil War in the Age of Nationalist Conflict . It seems to have been well received. 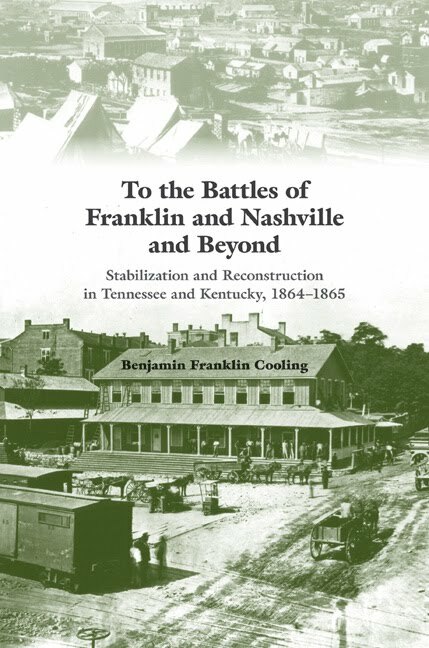 "To the Battles of Franklin and Nashville and Beyond: Stabilization and Reconstruction in Tennessee and Kentucky, 1864-1866"
After 25 years, B.F. Cooling's trilogy tracing the Civil War in the Confederate heartland was completed with last year's To the Battles of Franklin and Nashville and Beyond: Stabilization and Reconstruction in Tennessee and Kentucky, 1864-1866 (Univ of Tenn Press, 2011). I still think his Forts Henry and Donelson: The Key to the Confederate Heartland (1987) is the best of the small number of works dealing with the subject. The second volume, 1997’s Fort Donelson’s Legacy: War and Society in Kentucky and Tennessee, 1862-63, added several social and political layers absent from the chiefly military focus of the Donelson study. To the Battles of Franklin and Nashville and Beyond also has dual military and non-military features, and it expands upon challenging topics raised earlier such as guerrilla warfare, civil rights under military occupation, and "hard war". 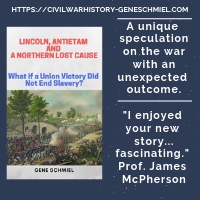 Military events summarized in the book include the 1864-65 cavalry raids in Kentucky and Tennessee by Nathan Bedford Forrest, Joseph Wheeler, and John Hunt Morgan. The 1864 Tennessee Campaign is also outlined. The amount of detail is moderate, which is fine given existing coverage in books and articles, and the number and quality of the maps are sufficient. Documenting the increasing application of “hard war” to the region against armed enemies and civilians, as well as the uptick in guerrilla violence, are additional things the book does well. Those readers hoping for more coverage of the Reconstruction period will be happy to hear that a fourth volume is a possibility. Of course, a vast volume of scholarly literature similar in content and theme to the material presented in this book, much of it dealing specifically with Kentucky and Tennessee, has emerged over the past couple decades. While the freshness factor may not be there for all readers, Cooling's synthesis of the current scholarship combined with analysis and interpretation drawn from his own in-depth research (which has obviously consumed a significant portion of his professional life) is a significant achievement in Civil War regional history.